3 Weeks Pregnant: What Are The Physical Changes & Fetal Development? When sperm cell and egg meet, fertilization happens and a baby is developed in the form of tiny cells — this is what 3rd week of pregnancy is all about. Did you know that folic acid is a vitamin B complex that is crucial during the first trimester of pregnancy specifically the first 8 weeks? What Happens During 3rd Week of Pregnancy? During 3rd week of pregnancy, the fertilized egg — also known as zygote — undergoes multiple cell division. The zygote contains a genetic material called chromosomes at 46 pairs in which half of it comes from your male partner. 12 hours after fertilization, the one-celled zygote further divides into two identical cells that will then split to four then to eight. At the end of this process, the cell is known as blastocyte. The blastocyte travels through the fallopian tube and will be implanted into the uterus in which the baby grows for the next 9 long months. At this point of pregnancy milestone, your baby is growing a lot. The blastocyte continues to grow and multiplies rapidly until a part of it sloughs off to become a placenta, a flattened organ that provides nourishment to the fetus through the umbilical cord. In addition, the placenta produces HCG (human Chorionic Gonadotropin), the hormone that detects you are pregnant when a home pregnancy test is performed. Furthermore, it is in the 3rd week of pregnancy that amniotic fluid starts to accumulate and positions around the blastocyte to provide protection and cushion to the baby for the next 9 long months. The brain of the fetus also starts to develop at this stage. Increased basal temperature. Before ovulation period, the estrogen level in the body is so high. When ovulation is approaching, estrogen gradually drops while the level of progesterone increases. The increase in basal body temperature is due to the hormone, progesterone that reaches its highest peak during the ovulation day, climbing to 1 Fahrenheit. So, if you are trying to get pregnant, it is time to track your basal body temperature. Implantation bleeding and pain. The moment that the fertilized egg is burrowed into the uterus, the woman may experience light low abdominal cramping referred to as Mittelschmerz, and few spots of blood on underwear. Breast tenderness. Due to added blood volume in the body and hormonal surge, mothers find their breasts becoming engorged, sensitive and full. Fatigue. During 3rd week of pregnancy, mothers-to-be may start feeling weak and tired. Fatigue during pregnancy is due to progesterone that is deemed to have a ‘sedative effect’ to the body. Hence, this hormone makes mothers sleepy all the time. Other weird signs that may indicate you are pregnant are food cravings, nausea, vomiting and sensitivity to smell. It should be mentioned that not all these symptoms may appear in the 3rd week of pregnancy. For some mothers, pregnancy symptoms begin to show up in the 4th week. As mentioned previously, the maternal body experiences no significant change during third week except some of the aforementioned signs above. If you have missed your period and if you are experiencing some unusual body happenings, this is the best time to take a home pregnancy kit. How to Prepare 3rd Week of Pregnancy? Perform exercise. The Workout plan for pregnancy includes low-impact aerobics, walking, yoga, stretching, swimming and brisk walking. Physical activity through exercise not only keeps mothers healthy and physically fit, but gets moving during the pregnant increases supply of oxygen to the fetus and increase muscle tone and strength. Cut vices. Drinking alcohol, taking illicit drugs and smoking are not a good time in pregnancy. Taking too much caffeine is not good too; so, drinking coffee and soda drinks must be regulated. Eat a healthy diet. Eat more fruits, vegetables and food sources rich in calcium, and iron. Mothers should also take lots of protein for tissue and muscle building of the baby. 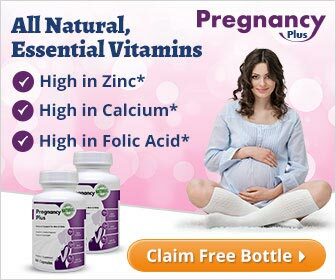 Take folic acid supplements daily for baby’s brain development and healthy pregnancy. Take frequent rest periods. Mothers in their 3rd week of pregnancy love to sleep due to the sedative effect of progesterone. This occurrence is normal, and mothers should take advantage of getting enough rest periods since the later stages of pregnancy bring mothers insufficient sleep and sleepless nights due to their growing belly and other symptoms.